In 2009, the U.S. Army and U.S. Marine Corps banned dangerous dog breeds from privatized housing domestically and abroad. In 2012, the U.S. Air Force enacted a similar uniform policy. 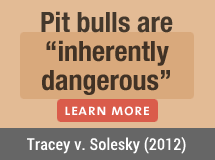 Bans: pit bulls, rottweilers, doberman pinschers, chows and wolf-dog hybrids. Bans: pit bulls, rottweilers, doberman pinschers, chows and wolf-dog hybrids. See also the U.S. Army's 2013 service dog policy. Bans: pit bulls, rottweilers and wolf-dog hybrids. See also Marine Corps Base Camp Lejeune's 2015 service dog policy. Okinawa - Joint Services Uniform pet policy Bans: pit bulls, rottweilers, doberman pinschers, chows and wolf-dog hybrids. Naval Station Lemoore Pet policy Bans: chows, doberman pinschers, presa canarios, pit bulls (American pit bull terrier, American Staffordshire terrier, Staffordshire bull terrier), rottweilers and wolf-dog hybrids. Naval Station Rota, Spain Pet policy Pit bulls, Staffordshire bull terriers, American Staffordshire terriers, rottweilers, doberman pinschers, Argentino dogos, fila brisileiros, tosa inus, akitas, German shepherds, chow chows, boxers and wolf-dog hybrids declared "dangerous."